For the Baptism Cake I ordered Costco's White cake with vanilla cheesecake mousse and iced with white buttercream. For the decorations I choose their "Roses" design with White Roses and Dark Green Leaves. I had them leave the center blank. Now it is your turn. 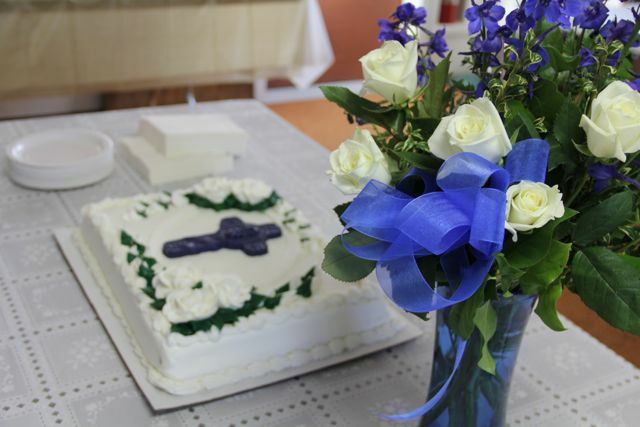 If you have made a cake for a Baptism reception, we'd love to see it! Please add your link below. 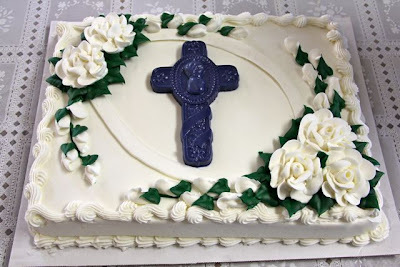 Oh this cake is beautiful!